Home \ SLEUTH \ A Ford Mustang utility vehicle? You’re kidding, right? A Ford Mustang utility vehicle? You’re kidding, right? Well yes and no, claim The Sleuth’s sources. 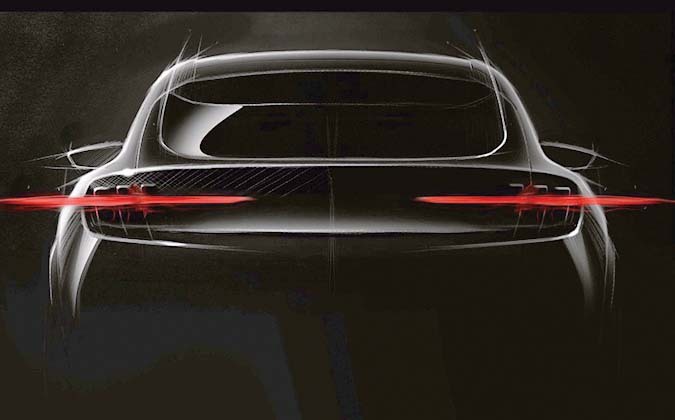 You won’t be seeing some jacked-up Franken’stang in your rearview mirror, but a tall wagon with front and rear design cues that might resemble those of the current Mustang. The all-wheel-drive vehicle that’s in the works for 2020 will apparently be a midsize five-passenger carryall. The to-be-named model will also be powered by twin electric motors instead of the Mustang V-8 engine that prospective buyers might be wishing for. The new utility model will be built on a brand new platform that Ford is prepping for a number of new electric models. Ford’s all-new Mustang-inspired fully-electric performance utility arrives in 2020 with targeted range of 300 miles. Is this Franken’stang, or just a new all-electric utility model with Mustang styling cues?